This month, customers who order $50+ (before tax & shipping) in My Online Store and use the Host Code above when you check out will get a Free Gift from me! you will be emailed a code to use for $5 off your order in September. 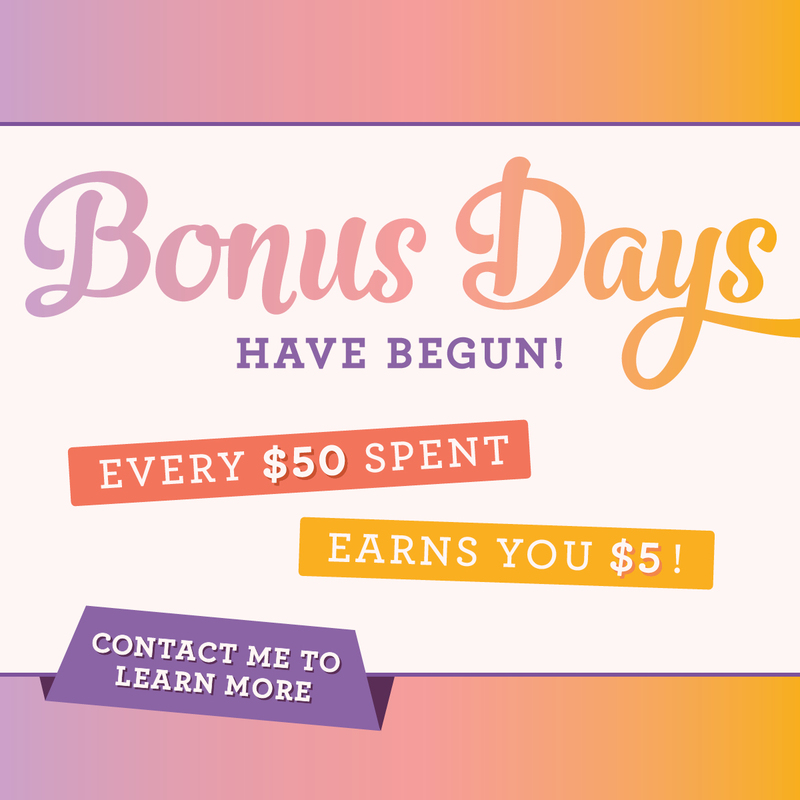 There are no limits to how many bonus days you can earn so its a great time to stock up on essentials! Host a Party & Earn Rewards! Now that you have seen the New Catalog I'm sure your wish list is long like mine! 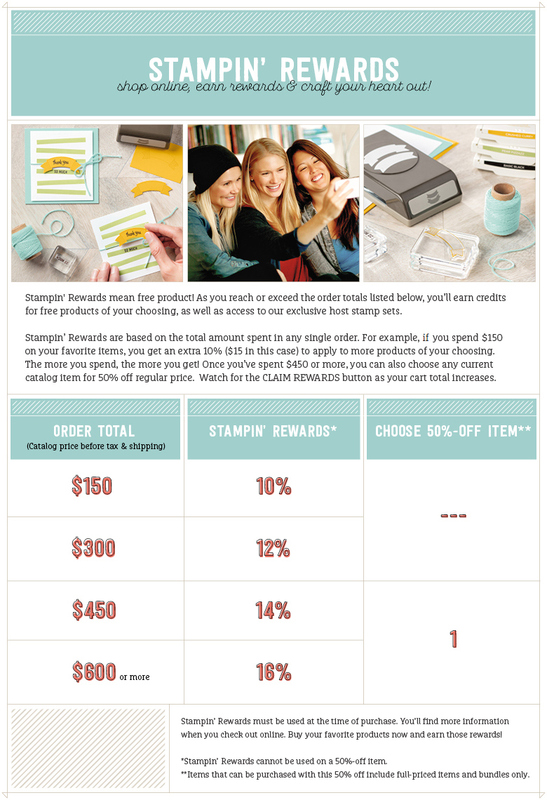 When you host a Party you can earn Stampin' Rewards when your Party's sales reach $150 or more. And, those Stampin' Reward $ earn you Free items from the catalog! You can redeem them for exclusive Host Stamp Sets or anything else you would like in the catalog! There are many ways to "Host a Party" and earn Stampin' Rewards! *Private Party - Go on your own shopping spree! Yes, even when you are placing your own order you qualify for Stampin' Rewards when your own order total is $150 or more! *Catalog Party - Pass around your catalog to friends & family and put your orders together to earn Stampin' Rewards! Contact Me and I'll set up an online code for your Catalog Party so your friends & family can conveniently shop online. And, let me know if you need more Stampin' Up! catalogs to share with your friends! *Facebook Party - Party right from home! I'll put together a facebook party for your friends & family based on your interests. I share fun product & technique videos and we have raffle prizes! Your friends & family can join in on the fun right from home & shop with a code just for your party so you can earn Stampin' Rewards!